I guess there is no reason to expect chatter to pick up as we near and begin post season, huh? It has NEVER been this lacking. Who ya got from here on out?? First a quick prayer to CoachT and his doctors down at Mayo Clinic in Jacksonville. I am a first time poster and encourage others readers who have been sitting on the sidelines to chime in and get the conversation going again. Other than the giants McCallie and Baylor in DII large, Boyd Buchanan is a beast in SE TN and should make a run at a state championship this year for DII small and might give the big boys a run for their money given the chance. I haven't seen a dominant AAA team over here this season but there are several solid teams including Cleveland and Walker Valley. In AA Sequoyah, Howard, and East Ridge are the cream of the crop with a strong group of Hispanic players on each of the three teams. If the old saying "defense wins championships" holds true, both CSAS and Signal Mountain from district 5A should make a run at state. CSAS managed to beat AAA Walker Valley in a 1-0 defensive struggle last night and Signal held Boyd to a single goal in a 1-0 loss last Thursday. Also in single A, Alcoa seems to be for real in the Knoxville area with a very respectable 3-2 loss to a solid Maryville team (who we got to see down here at the Cleveland tournament). I don't know what to think about Chucky-Doak's offensive explosion in upper east TN as I haven't seen any of their opponents but you can't argue with the results. I would love to hear from someone up there to tell us more about their chances at a state run! What's the word from other parts of the state? Good soccer history article in the Chattanoogan today about Hixson's 30th anniversary of their state championship run to get us in the mood. Grace (Franklin) will roll to the finals (in my opinion). Some of the most talented young players I have seen in a long time. Alcoa will give them a match, though I hope it isn't until the finals. White House and Greeneville for AA. D2 AA should probably be Baylor, MCallie or MBA (though I give the nod to McCallie if they are healthy). I'm staying out of D2 A (though Boyd is making some noise and the teams out west are tough!). CAK lost in district semifinals tonight. Does that mean they’re done? Or does division 2 do some weird format? Top 4 from each district move on, so they will keep playing. 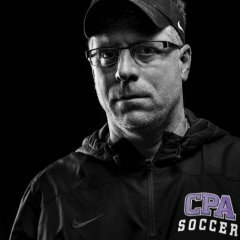 I'm taking CPA in D2 A. It means they face the winner of CCS and Boyd. Does CAK still have to play in the 3-4 placed game? If so who is playing in that championship game? Would winner of CCS/Boyd play their 4th place team? This is confusing. Can anyone fully explain how Division II does their postseason? I know TKA beat CAK last night and so that District Final should be TKA at Webb. I have no idea what happens after that. in the East I believe top 4 from district 1 match up with top 4 from district 2. First games are elimination games. That leaves 4 and those will advance to first round of state. Top team gets a bye and the others have pre-determined match ups- but how did CAK lose to TKA? I see. Thanks for clearing that up. CAK beat TKA 3-0 last week in final regular season game. Last night they tied 1-1. TKA won in a penalty shootout. Even though TKA’s scores are literally not posted anywhere, I believe this year they have the best team they’ve ever had.